What makes a wonderful product teaser video? Here at Yum Yum Videos, we believe their greatness starts with high-quality visuals, an engaging story and the right professional team to make it all happen. But even though these are the basic needs of a quality video, there’s so much more to it! Today, we want to share with you our favorite product teasers of all time, so you can get inspired and make one of your own! Before we start, how can you know that these videos are actually great? There are certain elements that will set a great video apart –the right kind of animation, the use of engaging storytelling, a professional animation team– but you’ll only be able to recognize high quality videos if you’ve got a trained eye. So let’s start with some training! Here we’ll show you a quick look into what makes these videos great – so you can learn how to recognize quality content at a glance (and also, how to replicate this greatness in your own videos). The story is the backbone of any video. It doesn’t matter how complex the information you need to communicate is, it can always be told in a way that’s easy to understand, and also interesting. How? By using a basic storytelling structure of a beginning, a middle and an end. In the beginning, you explain your prospect’s situation. During the middle, you explain what the problem is, and then you finish by telling the solution: buying your product or service. When you have this, you’ll only have to add a relatable character and you’ll have a winning product teaser video! How well do you know your audience? If you know their characteristics, their pain points, demographics and psychographic data – then you have already done the hardest part of the job! With this data, you can construct your buyer personas, which are the representations of your customers based on research. The great thing about buyer personas is that you’ll have a clear destination for your message: you’ll know exactly who you’ll be talking to! But not only that, you also get to model your video’s characters after your buyer personas. This way, the audience feels identified with the message, the video, and the brand! There are many types of animated videos, and choosing the right style is crucial in order to make the best content for your brand. Animated product teaser videos come in all shapes and colors. You can make a classic cartoon animated video, or choose motion graphics instead for a more technical look… Or, depending on the message you need to communicate, you could also use whiteboard animation – this works extremely well if you need an educational approach. The important thing is to choose the one that’ll fit better with your brand’s style, and with the ‘look and feel’ of it. Now that you know all of this, you’ll be able to recognize a great product teaser video from miles away! So, let’s take a look into what we believe are the best animated videos ever made. Get inspired: These are the best Product Teaser Videos! Let’s take a look at this video, and how it uses good storytelling and a relatable character to engage the target audience! 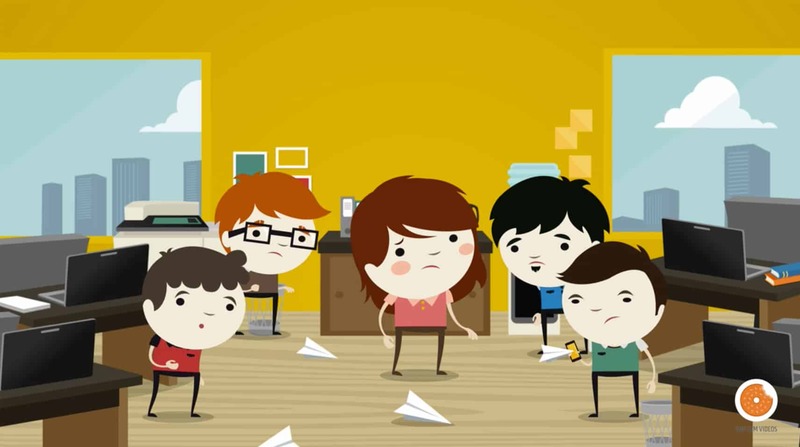 A very short and effective video that combines cute animations with a clear message and branded colors. It checks all the boxes! By using characters that look and behave like their target audience, Scripted makes a video that works perfectly well at communicating its message! And now, take a look at the animated product teaser videos we make here at Yum Yum Videos! One of the most important things in video production is to find the right team to make it happen, and believe us – we know it’s hard to choose one. 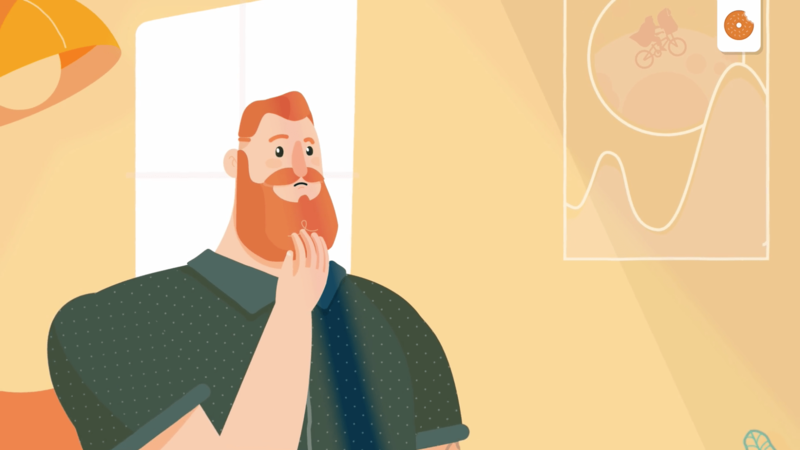 Take a look at the use of storytelling in this video, which works perfectly with the style of animation to communicate a complex topic in a simple and cheeky way! In this whiteboard video, you can see again how a complex message (fraud detection) is explained by the use of animation. In fact, whiteboard videos are great for educating your audience on difficult topics like this one! And all you need is a white background, black continuous drawings, a hand (and a great production team, of course!). With animated video, you can create anything that your mind can imagine. Like a fantasy land where tortillas sing happily with guacamole and cilantro! (With a tune that will stick to your audience and get them singing with the TV). Product Teaser Videos come in many shapes and styles, but there’s clearly a right way to do them – high quality videos are not that easy to make! But now, with these tips, you’ll be able to recognize a high-quality video from miles away. And now that you’ve seen not only 5, but 10 great examples of awesome animated videos, are you inspired to make your own? If you don’t know where to start, don’t worry – we’ve got you covered. Let’s talk!